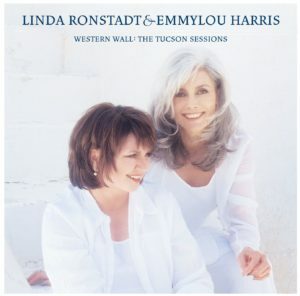 It took more than 25 years, two divergent careers and plenty of false starts, near-misses and might-have-beens, but Linda Ronstadt and Emmylou Harris have finally made an album together. Western Wall: The Tucson Sessions is the kind of eclectic statement only two supremely talented – and supremely confident – artists could make. It’s also the work of two very good friends. In a separate interview, Ronstadt had equally kind words for her partner. “When Gram Parsons died I thought, ‘Gee, I wish she didn’t miss Gram so much. I’d like to ride off into the sunset and be a duet with Emmy.’ I wanted us to be The Everly Sisters. The two met in 1973. Ronstadt was just beginning her ascendancy to the top of the pop-star mountain; Harris was ex-Burrito Brother Gram Parsons’ duet partner and still two years away from her big solo breakthrough with Pieces of the Sky. They have sung on each other’s projects over the years, then tried and failed and finally succeeded in making the Trio album with Dolly Parton, which was an enormous hit in 1987. Meanwhile, Ronstadt recorded albums of pop standards and Mexican folk songs and all but abandoned the country/pop style that brought her to prominence in the ‘70s. Talk about a duo project heated up in 1998 when Ronstadt contributed to Return of the Grievous Angel, a Parsons tribute anthology executive-produced by Harris. Western Wall, perhaps understandably, has no stylistic borders. Ronstadt loved the fact that each track on Wrecking Ball created a different atmosphere and couldn’t wait to use the same approach. The new album brings together diverse material from writers including Patty Scialfa (“Valerie”), Leonard Cohen (“Sisters of Mercy”), Rosanne Cash (“Western Wall”), Andy Prieboy (“Loving The Highway Man”), and Sinead O’Connor (“This is To Mother You”). They decided to cut Jackson Browne’s “For A Dancer” after hearing the author sing it at a memorial concert for the late Nicolette Larson in February. Larson had recorded with both Ronstadt and Harris and was a close friend. Producer Glyn Johns brought in “He Was Mine,” penned by Harris’ ex-husband Paul Kennerley, and Bruce Springsteen’s “Across the Border.” Harris herself wrote three of the album’s best songs: “Raise The Dead” (she plays electric guitar on the track, too), “All I Left Behind” (cowritten with Kate and Anna McGarrigle) and “Sweet Spot,” on which she collaborated with Jill Cunniff of Luscious Jackson. “She brought every single one,” said Ronstadt. “I don’t think I chose one. Not because I wasn’t trying, but because Emmy came with so many songs that were so good – including the three that she wrote, that I would’ve been heartbroken if we’d had to leave any of them off. Harris contended that all of the songs, from David Olney’s brittle World War I ballad “1917” to Patty Griffin’s ghostly reverb-y “Falling Down” (which would have fit in nicely on Wrecking Ball), are small parts of a bigger picture. “I believe that there’s a poetic thread that holds them together,” she explained. “I think they all deal with very deep issues about life and love and longing and loss. Johns, of course, had produced the Eagles in their early days, after they’d resigned as Ronstadt’s backup band to strike out on their own. Harris had only worked with him once, on Kennerly’s The Legend of Jesse James in 1980. Ronstadt: “There are different kinds of producers. Some producers work in a way where they carry out your whim. I’ve always worked with producers that basically carried out my whim. For better or for worse. And I have to say I don’t think I’ve made records that are quite as good as Glyn can make at his best. The new album was recorded in the dining room and library of the Arizona Inn, not far from where Ronstadt lives with her two small children. Built in the 1920s, the historic building had a vibe that the two women loved; Eleanor Roosevelt had been a frequent guest in the ’40s, and not much has changed. Ronstadt continued her long-standing tradition of finding something good to read during the lulls in the recording process (in this case, it was Rebecca West’s war-crimes journal, The New Meaning of Treason). The recording process was much more pleasant than it had been for Trio II, done in 1994 but just released last year. 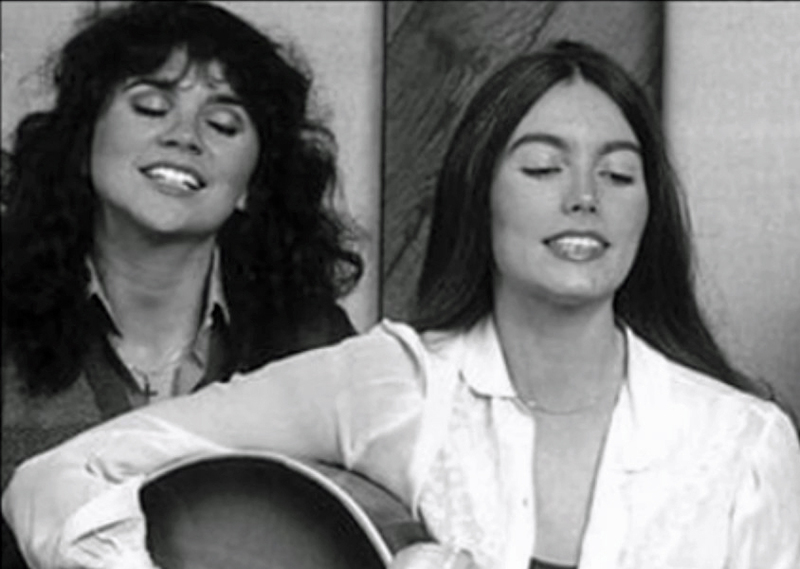 That had started out as a Ronstadt/Harris project, but once Parton came aboard to add some guest harmonies, the Trio was properly rolling again. But Parton cancelled one session after another, often at the last moment, and just before Trio II was nearing the finish line she announced that she wouldn’t be able to tour or do any promotion for the record. Harris is more circumspect on the matter. “Life is too short for that,” she said. “And ultimately, when it comes down to it, we’re all really fond of each other. There were just some misunderstandings that got out of hand. The success of the restored Trio II in 1998 was a pleasant surprise for Harris, whose contribution to the project put her one step closer to the termination of her contract with Elektra/Asylum (Western Wall closes the door for good). A live album, Spyboy, was released last year on the independent label Eminent. Harris admitted Wrecking Ball, a bold and daring musical project, will be a hard act to follow. “It is what it is,” she said. “Either I’ve got to retire, or I’ve got to make another record. I did two years on the road, and the gift at the end of that was Spyboy. Which was a lovely surprise, because I only recorded those shows in order to get a version of ‘The Maker,’ with a thought to put it on my next studio record. Because I didn’t want to try and go in and do a studio version of that song – I didn’t want to compete with Daniel’s (Lanois) version, which I think is one of the greatest things ever recorded – and we’d already done it live. I think it’s hard to put that lion back in the cage, if you know what I mean. Harris said people ask her all the time, “When’s your next record coming out?” They started asking when the ink on Wrecking Ball was still wet. “In the meantime,” she said, laughing, “all these other projects came up – Willie Nelson’s Teatro, Trio II, the Gram tribute, Linda, Spyboy. What is that, five records? So I figure I’ve deflected the ‘When is your next record coming out?’ I probably won’t get around to going in the studio till next year. Ronstadt is anxious to get out of her own contract with Elektra/Asylum. She intends to make a Christmas album using 18th century glass instruments; she’s also overseeing a glass album for Sony Classical. E/A will issue a boxed set of her classic material in October, and if the singer has her way, that will be the last people hear of the “old” Linda Ronstadt. Ask her why and boy, does she have an answer ready. “I did a record every year, for about 30 years,” she said. “I made about 30 records, and I think that’s quite enough. I thnk people have enough records out there of mine. Enough to gag anyone. “I really don’t mean to work, particularly. I basically consider myself retired as of about four years ago. I just never announced it because why bother, you know? Ronstadt and Harris have a six-week Western Wall tour planned; they’ll also appear on the nighttime chat shows and tape an Austin City Limits. Ronstadt, a single mother, said she is committed to making sure her children grow up with what she feels are the right influences. There is no television in their Tucson home (she refers to it as the “electronic dictator”), and she reads poetry to the youngsters every night at bedtime. In fact, her 1996 Dedicated To The One I Love – which used lots of glass instruments – was an album of lullabies. “I always meant to be a singer, not a star,” she said. “When it came up, I had no control over it. You can’t order yourself up as a star. You can’t make it happen any more than you can prevent it from happening. And I find that the cult of celebrity that this country is just completely addicted to is just the saddest thing. It just makes me sorry for people. “We have created a whole nation of borderline personalities that don’t know who they are and can only live through something that’s projected onto the cathode ray tube. For the record, Ronstadt said she considers her most meaningful music to be the trio of romantic ballad albums she made with Nelson Riddle in the ‘80s, and Frenesi, her third all-Spanish recording. There’ll be no more “When Will I Be Loved” and “Blue Bayou” from this veteran of the rock ‘n’ roll wars. “I’m 53 years old and I’m sick of it,” she said. “I’ve just had enough of it. I hate to travel, and I hate the culture, you know? I hate it all. I don’t have a computer. I smile every day without these things.